There is a lot of art being made in our house at any given day, mainly by my Caroline. We have the piles of paper to prove it. Caroline would rather make people than have me read to her these days. 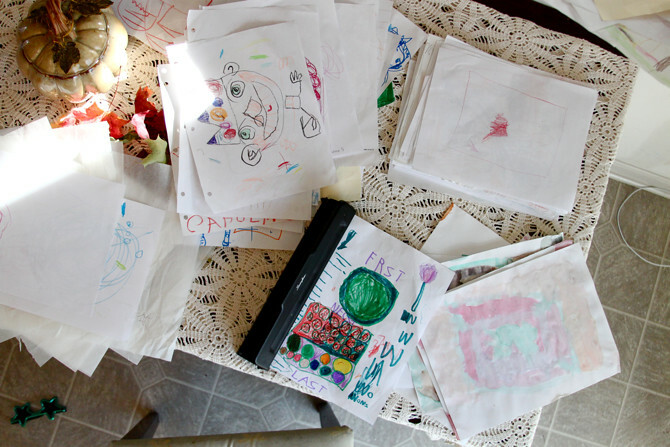 She proclaims to adults she sees, "I want to be an artist someday." 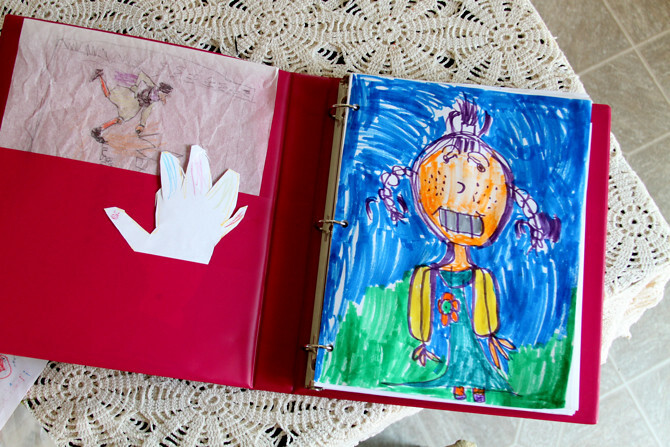 Thankfully, a few months ago my friend, Charlotte, showed me her little six year old artist's art binder. 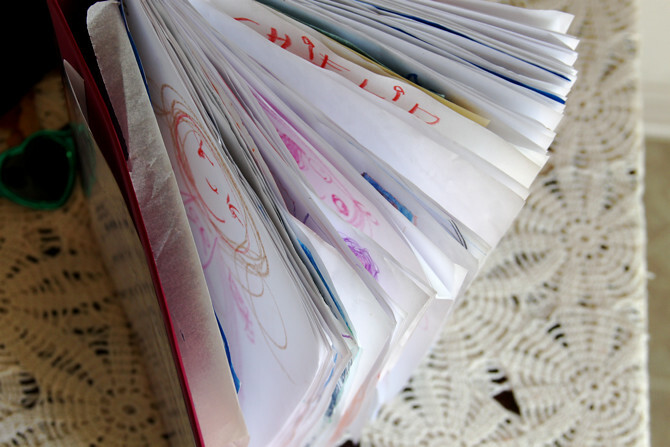 With all of her daughters drawings, paintings, and doodles, she had them all neatly combined in a binder for organization and compilation for her child. So yesterday I found some used binders and begin punching holes. A small pile of Johanna's and multiple piles of Caroline's. I have to say, when I myself flipped through the variety of her artwork from this last year, so many memories came back. Like the first person she drew months ago which started her current love of doing portraits. And the cookies she drew one day after baking day when she learned what "doubling" the recipe meant, so later drew the total number of cookies we had baked. It is a treasure now, to see who she is and how far she's come. 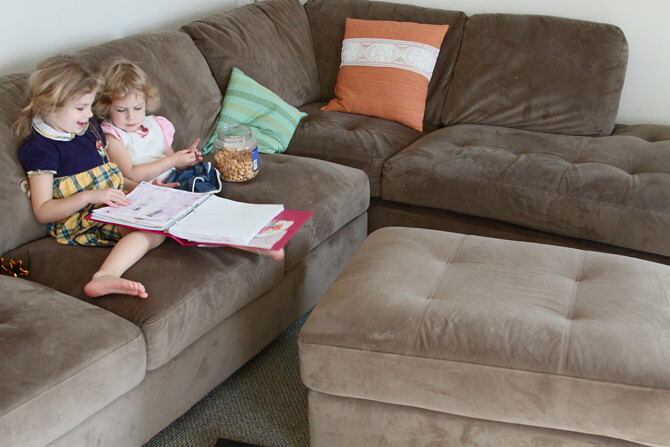 But the most wonderful part of putting these binders together was caught in this photo. Johanna with the cashews, Caroline with her art binder. Showing Johanna every single page as she most joyfully explained what she was trying to draw or what it turned into or what she loved about it. Every time I returned to the room, they were still there, Caroline now remembering every detail. I look forward to there be volumes for my children. Something they can learn from as they return to their binders. Something they can be proud of, too. And something for me to always recall childhood by. All in one place. 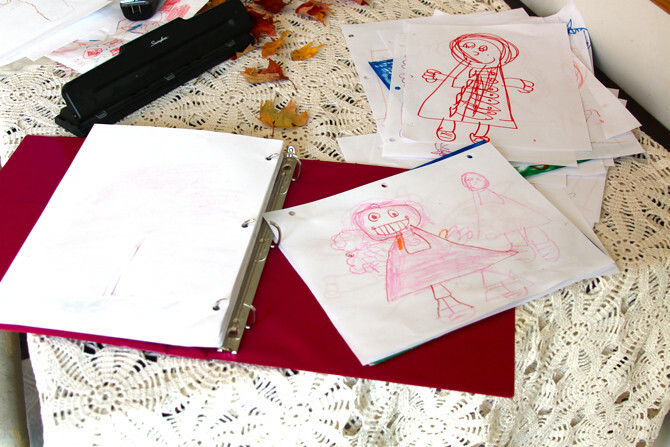 How do you resolve organizing children's artwork in your home?